An Investment Advisor Representative with Brokers International. Christopher has successfully completed the FINRA General Securities Supervisor exam (series 8 examination in addition to other examinations.) Christopher Stewart, CFP® owns and operates the Fidelity Insurance Agency of Virginia, a full service insurance agency specializing in fixed*, fixed Index**, immediate annuities and life insurance. 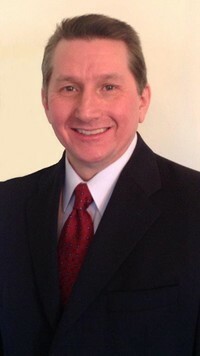 Christopher Stewart, CFP® began his career in New York City working on Wall Street before locating to Glen Allen Virginia in 1995. Serving clients across the United States. Offices at 10015 West Broad Street Glen Allen, VA. 23060, wholly owned by Stewart Partners LLC. Compensation : Fee Only ( hourly ), Fee based ( assets under management) or Commission based. No cost initial consultation. *Fixed Annuities are long term insurance contacts and there is a surrender charge imposed generally during the first 5 to 7 years that you own the annuity contract. Withdrawals prior to age 59-1/2 may result in a 10% IRS tax penalty, in addition to any ordinary income tax. Any guarantees of the annuity are backed by the financial strength of the underlying insurance company. **Indexed annuities are insurance contracts that, depending on the contract, may offer a guaranteed annual interest rate and some participation growth, if any, of a stock market index. Such contracts have substantial variation in terms, costs of guarantees and features and may cap participation or returns in significant ways. Any guarantees offered are backed by the financial strength of the insurance company. Surrender charges apply if not held to the end of the term. Withdrawals are taxed as ordinary income and, if taken prior to 59 ½, a 10% federal tax penalty. Investors are cautioned to carefully review an indexed annuity for its features, costs, risks, and how the variables are calculated.